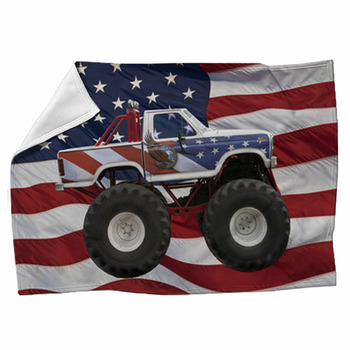 Our monster truck blankets give your son the steel crunching, engine roaring, showoff style and take no prisoners attitude that monster trucks embody. 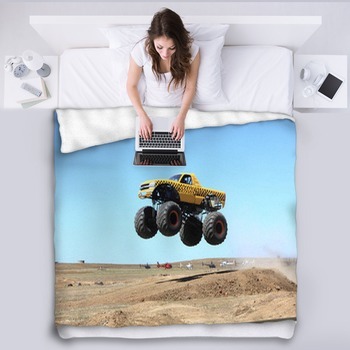 Give him a fleece blanket that showcases the mightiest and flashiest of monster trucks in professional photo images. 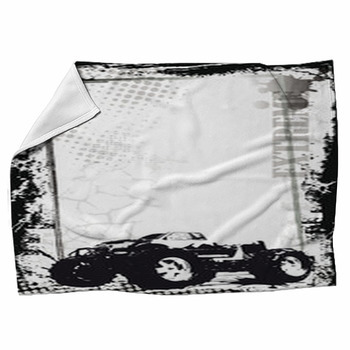 We also have custom blankets that display rugged illustrations of monster trucks and the havoc they wreak. 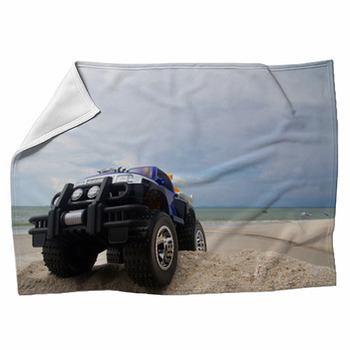 Incorporate your boy's favorite color into his monster truck blanket. How about a shiny yellow pickup truck turned into a monster with a set of massive black tires, white wheels and a silver roll bar? We also have woven blankets that exhibit a purple SUV with big tires and sturdy shocks. 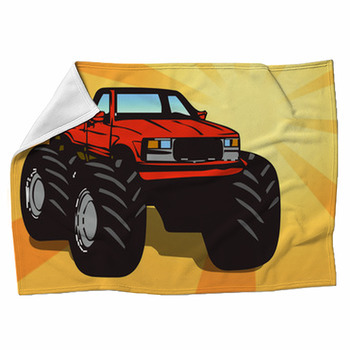 A red monster truck is shown from a close up, low angle, that lets you look up at its impressive body against the cloudy blue and white sky that covers the background of your fleece blanket. 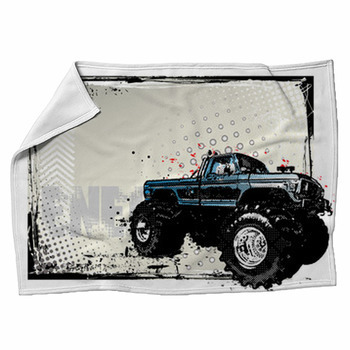 Add a throw blanket that features an excellent pencil sketch of a classic monster truck. This fearsome vehicle is pictured leaving a trail of black mud as it tears through a background made of black and white dots scattered over pale purple and maroon, as well as slashes of blood red. Another woven blanket displays a green and a blue monster truck drawn on a black background around Monster Trucks, which is written in big white, scratched up letters. The green truck has a yellow undercarriage and the blue one has yellow rims. 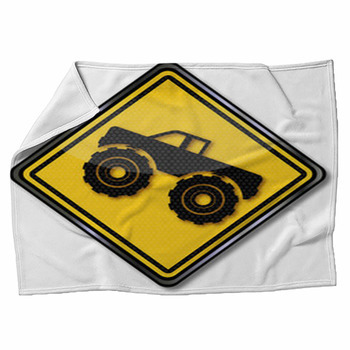 We even have monster truck blankets that highlight a car given destructive force and gargantuan size. The 70s silver and baby blue sedan is set up on massive tires, which it's using to simultaneously crush a blue and a red car beneath it. This throw blanket design is composed of a color photograph set on white. 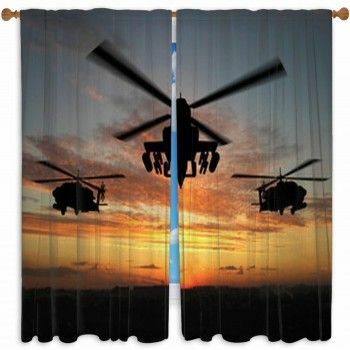 Turn your son's bedroom into a monster truck rally with ourmonster truck themed window curtains and wall murals.